Useful or Relational–Can You Have Both? I would say yes, but only if you abandon your “usefulness” for a relationship with God first–than He will use you, sometimes without you even knowing it. This is so very profound. Our pastor is all about relationship and promoting relationships with the other pastors in our area, for which I am so thankful. 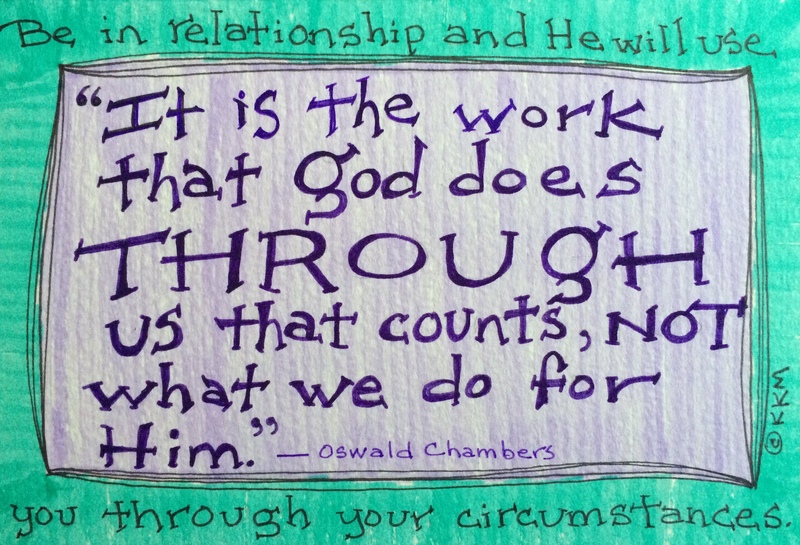 Our intimacy with God first, which puts all other relationships in proper context.